Did you know there’s a secret trick to finding Costco clearance items? It’s true and we’re going to explain to you how to find these Costco markdowns. It all begins by looking at the item price tag. You want to look for items that have a price ending in .97 cents. This is the only way to know it’s on clearance. There’s no special red price tag that’s marked clearance and there’s no clearance section with all the marked-down items. Essentially the markdown blends in with all other store items. So, now that we know this little trick we walk through the aisles of the Costco store looking at all the price tags to see which items are clearanced. There’s a few other things to note about clearance items at Costco. First of all, right below the $*.97 price will be a date printed on the price tag. This tells you when the sign was printed, which gives you a good idea of the last time the item was marked down. Secondly, you can also look at the top right corner of the price tag to see if there’s an asterisk. If there’s an asterisk that means what you see is the last of the item, there are no more pallets on the shelves. If there’s not an asterisk that would be an indication that you might want to wait to buy the clearanced item until it’s marked down further, because there’s still a lot on hand. In that case we’ll watch the item over a few weeks to see if the price drops down further, as long as there is still a lot on hand. But, be careful, sometimes the store will return all the items to the manufacturer all of a sudden or liquidate the remaining stock and you’ll miss out on the clearanced price all together. There is no standard Costco markdown schedule. There is no special day of the week when electronics or toys are marked down. Without checking the store all the time it makes it difficult to follow along on your favorite items you’re waiting to buy. Fortunately I’ve found this great new website to help you out with that!! Costco97.com is a community-based website where users around the country input what Costco clearance items they’ve found at their local store. I have inputted a few items myself that I’ve seen at my local Costco and I subscribed to their email list so I can get notified every time a new item goes on clearance at Costco. As more of us use this tool I think it will become an even better resource for us savvy Costco shoppers! 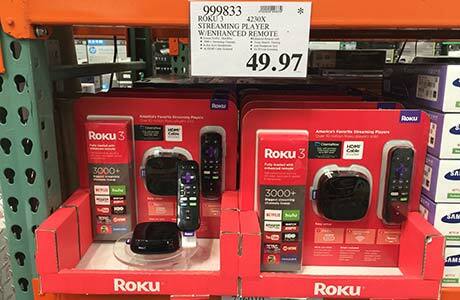 So you know how to find the Costco clearance items, but how do you know whether it’s a good deal? Well, if you don’t know the original price of the item you can always stop by the membership department with the item number and ask them what the original price was. You could also compare the price of the item to how much it is on Amazon. Costco doesn’t put the original price on the sign with a slash through it like some stores might do to indicate an item is on clearance. That’s because every deal at Costco is a great price, so they don’t want to let you know some deals are better than others. 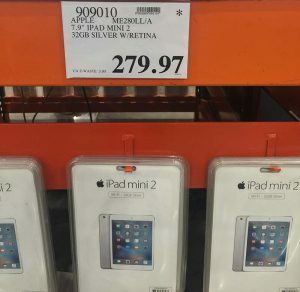 You may be wondering which items at Costco tend to be marked down. The main reason an item is clearanced at Costco is because it hasn’t sold as well as anticipated. The store has too much on hand and it’s taking up valuable warehouse space. Costco may go to the manufacturer and ask for an allowance to reduce the price. Another reason an item may go on clearance is a food item that will be expiring soon and they can predict that they won’t sell all the remaining inventory before the sell by date. Lastly, there are seasonal mark-downs. Right after the holidays there will be Costco Christmas markdowns on all of the toys and decorations. These begin the day after Christmas and don’t last long. Some will even begin now, a month before Christmas time. Another seasonal item that will get put on clearance at Costco is patio furniture. Towards the end of summer you will start to see various clearance furniture. It takes up so much room in the warehouse that the store can’t wait to sell all of it at full price, as it needs it out to make room for the winter products. Hope this helps you find Costco clearance items the next time you’re out shopping!